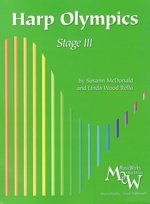 This book is designed for the student who has completed the material in Harp Olympics, Stage II. 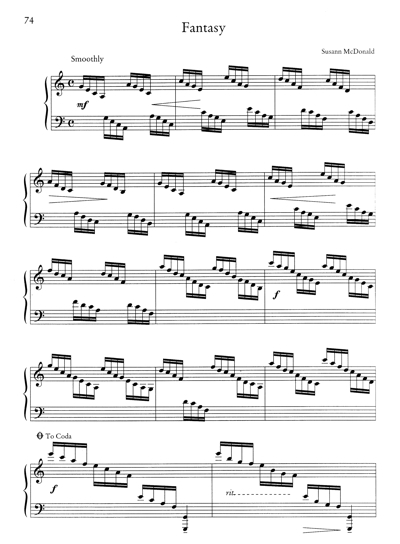 It is recommended that the "Marathon" exercises from Stage II be played every day as a review until no longer necessary. Please refer to the "Introductory Notes" in Stage I for an overview of the Harp Olympics series. Stage III includes more technical studies than the previous volumes, and the student should expect to stay with this book a little longer in order to be comfortable with all the "Workouts". The solos included are not required but offered as a supplement to other existing material. Students are encouraged to keep up with the "Games and Drills" and to play the exercises in new and different keys as often as possible.